Over the past month Cunningham| Quill has been busy with education and lecture activities around the city. 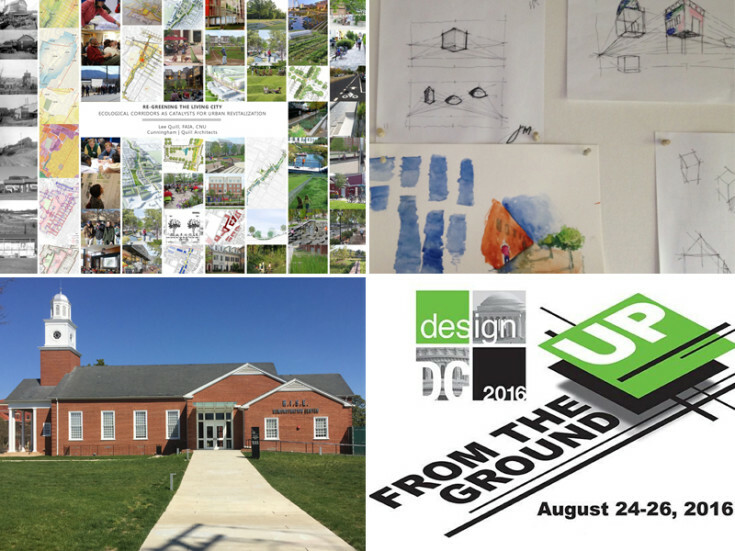 In addition, on Wednesday August 24th as part of AIA DC’s DesignDC, one of our Principals Scott Matties, AIA will be presenting “Regulating Creativity: Architecture Despite Oversight.” It is sure to be a fascinating case study of designing in a time where navigating complex and contradictory regulations of Form-Based Codes are now the norm – don’t miss it! 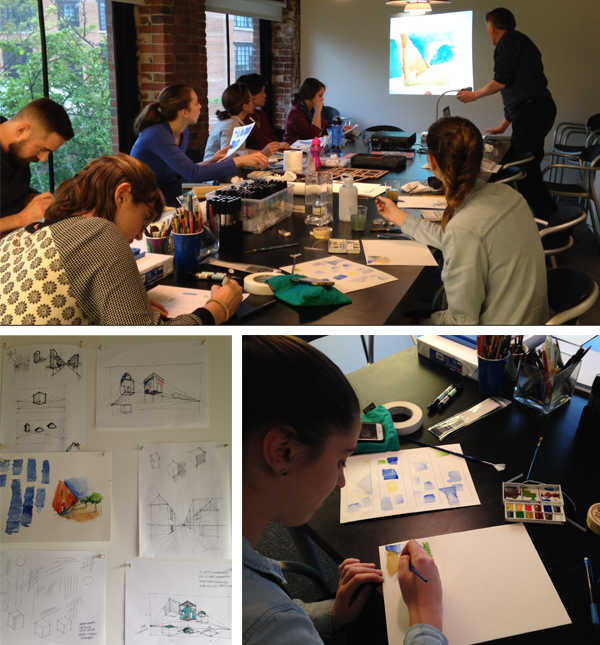 As part of our 20th Anniversary year celebration “Design Dialogue” events, Cunningham | Quill hosted Eric Jenkins, AIA, Associate Professor at Catholic University at our offices to provide a drawing refresher and inspire our designers. Sketching encourages creativity and the proliferation of great ideas and sometimes eccentric ones. The two workshops focused on perspective, drawing with pen, and water color techniques. The workshops were a great opportunity for our designers to get out from behind the computer and to put pen to paper. Lee Quill, FAIA, CNU presented the Strategic Investment Area Plan (SIA) for the City of Charlottesville in Virginia. An in-depth analysis of the five goals of the SIA plan introduced attendees to the project and the proposed solutions for the pilot eco district and downtown revitalization plan. 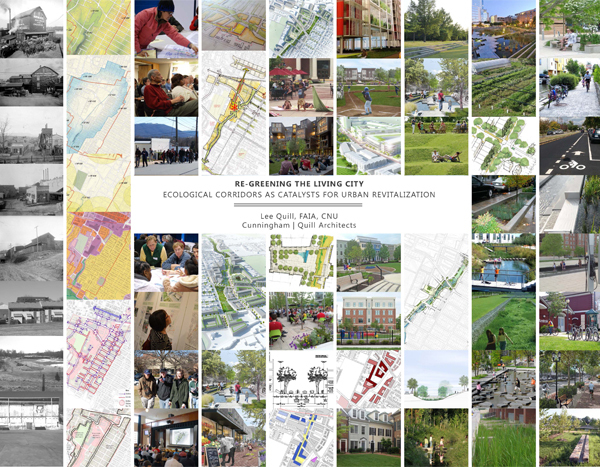 The lecture illustrated a great example of how urban design and an engaged community can affect change and inspire collaboration for the greater good. 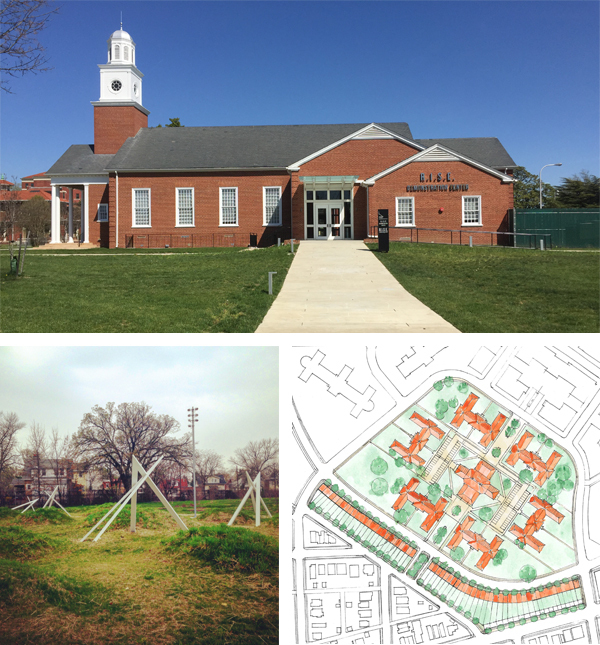 Ralph Cunningham, FAIA led a spirited tour of the new development on the St. Elizabeths East Campus. The tour began with the R.I.S.E Demonstration Center, where attendees received a behind the scenes tour of the new center. Landscape Architecture Bureau (LAB) Principal Jon Fitch and Sr. Landscape Architect Kara Lanahan took attendees along the Gateway Path where planting decisions and water management systems were explained. The tour ended with a viewing of the “Wishing on Stars” sculpture installation by Sheila Crider and an overview of future development on the Campus.